India as a destination brings forth a fusion of history and culture as well as a bouquet of festive colors and sparkling lights. 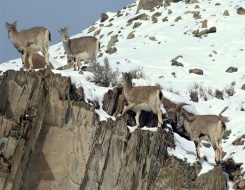 But its diversified terrain sets a gateway to some thrilling activities. 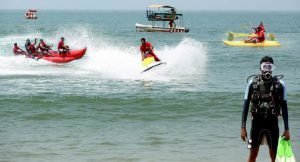 Behold the blues of the Arabian Sea, down the Konkan coast in the west you are bustle with snorkeling, scuba diving and motor boating. Flee off to the land of Garos and Khasis, Meghalaya, coped with adventures, and on the other hand haunts every spelunkers mind. In between you have the rugged yet splashing hues of the Western Ghats, en route the ancient civilizations of the Deccan to the East you step in to the tribal of Jharkhand. 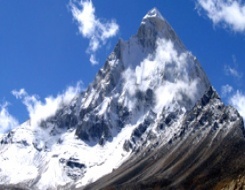 More you dig into the Indian terrain the more your travel diary fills with excitement and it soars when you trail up to reach the snow clad peaks of the Himalaya. Over the years the vast stretch of the Himalaya, from the meadows of Kashmir to the ancient silk routes of Arunachal Pradesh, has witnessed many demented travelers, who prefer not to seek luxury but to explore the killer mountains for eternal fun and experience. 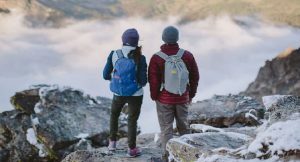 Trekking in India is just not every ones adventure activity, but to experience one should have a true heart to see what India can greet you with her rough yet beautiful terrain. 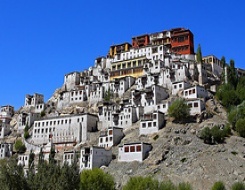 The land of Monks, Lakes and Yaks, Ladakh has been and is always a heartthrob destination in India. 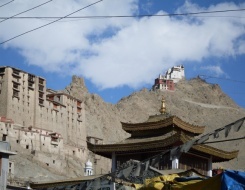 If you are one such explorer who seeks to discover the ingenious culture of the Indo-Tibetans, Ladakh is a passionate pick. 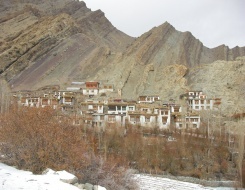 For a trekker Ladakh offer the toughest treks in India. 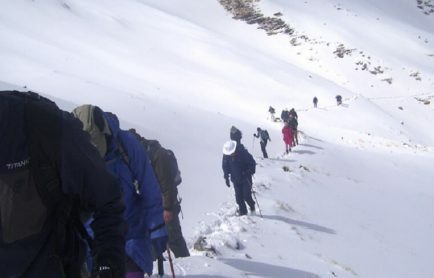 From the popular Frozen River Trek, Markha Valley Trek to Tsomoriri Trek and Lamayuru Trek, Ladakh brings back to back bewitching trekking opportunities. 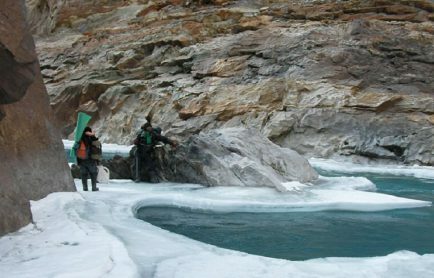 The Frozen River Trek is a 10 days trek, which is one of the longest Indian treks starting from Chilling en route Leh. 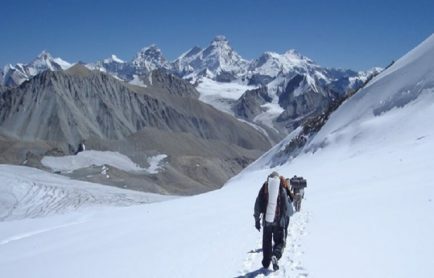 Dead set on for a Eskimo life where 10 days seem to be a decade dwelling over the frozen Zanskar River, the Chadar Trek during winters is often dubbed as the Frozen River Trek and is one of the deadliest. 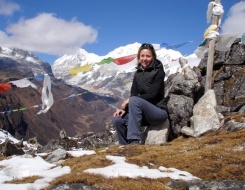 Along with your porters from Pishu village, the trek heads to Zaribago, which is approximately 5 hours from Chilling. 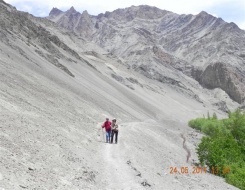 Following the River Indus the trail meets at the confluence of the River Indus and River Zanskar. 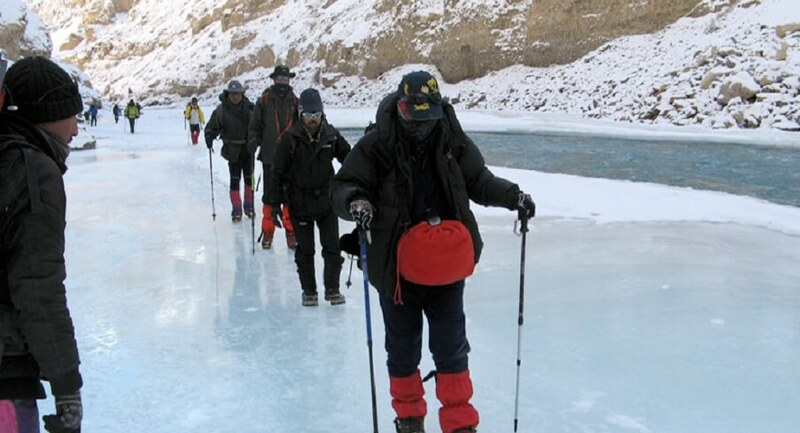 Thereafter the trek continues on the frozen River Zanskar en route steep gorges and deep valleys. The trail also offers you to halt inside the caves, which the locals call it, Bawo. Ah! An adventure within adventure. From Zaribago to Lingshed en route Deepyokma and Nyrakpulu, the trail up continues for 4 days. 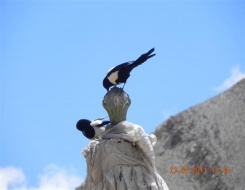 Your trail winds up at Lingshed from where you descend back to Leh en route Tso Mopoaldar and Tilatdo. 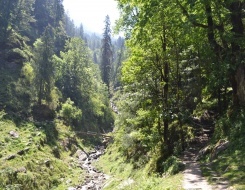 They dub it as ‘heaven on earth’, Kashmir not only allows you to lure over the beautiful meadows but also offers you with some easy to tough treks. Days of rough and tiring trail, you are one step ahead to heaven. 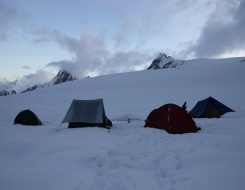 The Kashmir Great Lakes Trek is a grapevine to some freaking Indian travelers as well as international. 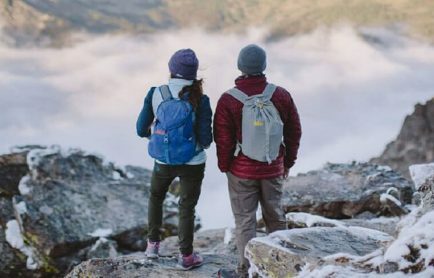 Being in Kashmir, one who seeks to travel beyond the green meadows dotted with Apple orchards and willows must backpack for one of the Indian Treks, the Kashmir Great Lakes Trek. 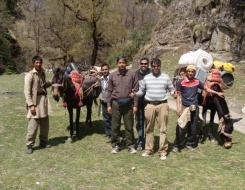 The journey starts from Sonmarg, which is the base camp at 7800 feet (ft), en route Srinagar. 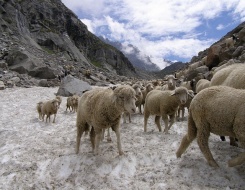 Thereafter your trek commences and heads up to Nichnai, which is approximately 6 hours from Sonmarg. Off the ramp, en route the Mapple and Pine grove, following the River Sindh, the trail is filled with some quick descents and stretched ascents. 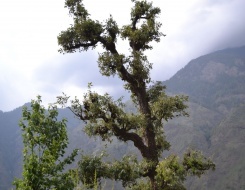 Following some shepherd huts, beautiful meadows dotted with Bhoj trees the trail via Shekdur winds up to a dense forest to set your camp for the day at Nichnai, which is at 11500 ft. 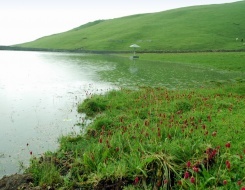 The next morning you are all set to head for Vishnusur Lake that is approximately 12 kms away, en route the Nichnai Pass at 13500 ft followed by small descent to a lush green meadow. It takes 6-7 hours from Nichnai to explore the beauty of the crystal blue Vishnusur Lake, ideally nestled on the lap of the mountains, reflecting the height of the Kishansar peak. Your camp sets for the day on its shore. The next day the trail heads up to Gadsar at 12000 ft en route Kishansar Lake and Gadsar Pass at 13750 ft. The Kishansar Lake is approximately ½ km away from the Vishnusur Lake and the ambiance is secluded by the soothing meadows and high ridges. 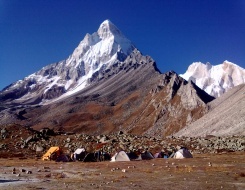 The trail offers the beautiful view of the farfetched snow clad mountains and gentle slopes allowing the trekkers to bustle a life like the photographers. 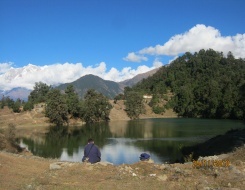 Your trail tracks up to Gadsar Pass followed by a gentle descent to a small lake, the Yamsar Lake, which is dedicated to Lord Yama. 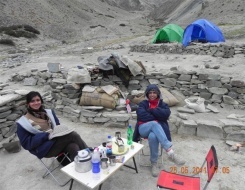 Thereafter the trek heads to Gadsar where you can set your camp for the day close to the abandoned Army Camp. 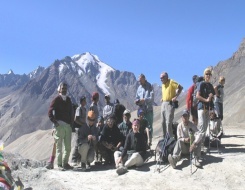 The following day, the trek trails up to Satsar after a steep climb of 4 hours. 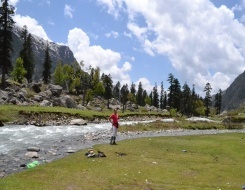 It is approximately 12 kms away from Gadsar en route an ice cold stream. 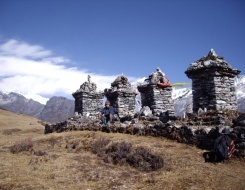 Satsar at 12000 ft, en route Maengandob, offers an isolated life to experience. Nonetheless the name simply speaks of 7 different lakes that you can explore. But it depends on the season you are trekking. During the winters these lakes are freeze to ice. Satsar is the 3rd line of defence from the LOC and one should be ready for a round of questioning with their photo ID Proof and address proof. 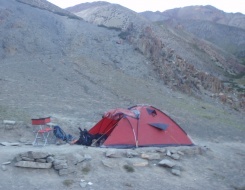 Rest of the day your camp sets close to the picturesque shore of one of the lakes in Satsar. 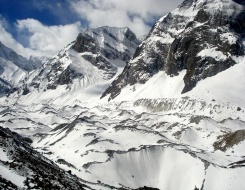 The following day proceeds to the Gangabal Twin Lakes at 11500 ft en route gradual descents and long steep ascents. 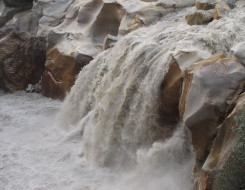 It is approximately 9 kms from Satsar and takes 6-7 hours. 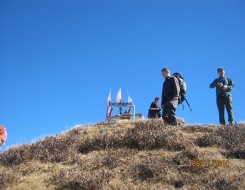 The trail is filled with excitement and thrills as one trek up to the height of the 3rd ridge at 14000 ft. 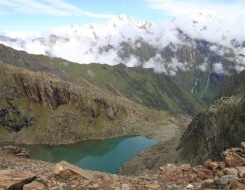 Couple of hours of climb and it offers the spectacular view of the Gangabal Lake and its companion Nundkhol Lake. 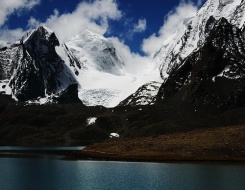 The Nundkhol Lake lies on the lap of the Harmukh Peak, whereas the Gangabal Lake, which is connected by a narrow stream to Nundkhol Lake, is approximately 20 minutes away. One can set their camp at the shore of any of the lakes and enjoy the gentle ripples of the pristine lakes and tranquil ambiance. 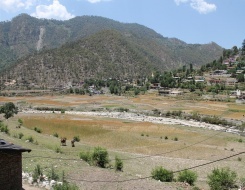 The journey to paradise filled with adventures halts for couple of hours, when the following morning your trek descends to Naranag and thereafter to Srinagar. 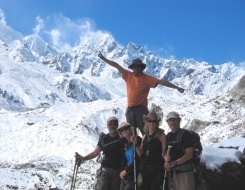 The eternal experience captured from a life time trek, the Kashmir Great Lakes Trek, is actually one of the most stunning Indian treks and has been a lifetime memory of millions of explorers. 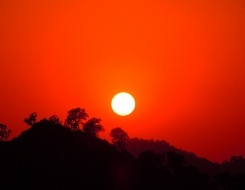 Hewed out from the state of Uttar Pradesh, the ‘Land of Gods and Goddesses’, Uttarakhand offers the most beautiful and frequented as well as challenging treks in India. 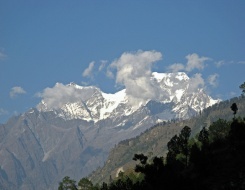 Divided in two regions, the Kumaon and Garhwal, the former greets travelers to reach out the lap of some of the highest Indian peaks, namely Trishul, Nanda Devi and Nanda Kot. 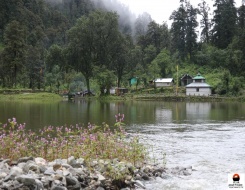 Moreover the valleys graced with the natural bed of varied species of flowers attract lot of domestic travelers as well as international. 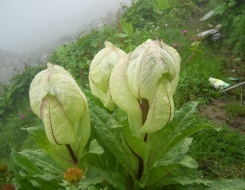 One can experience at their fresh breath the diorama of the natural bouquet at the Valley of Flowers, which is a part of the Nanda Devi National Park that stretches from an altitude of 3000 mts to 5200 mts. 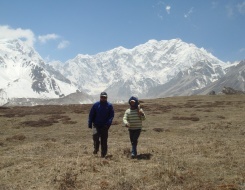 It is one of the easy to moderate Indian treks that allows children from 12 years to people coughing at the age of 60. 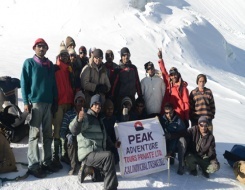 Off the ramp, down from Joshimath to Lohajung, trek to Roopkund is one of the challenging treks in India. 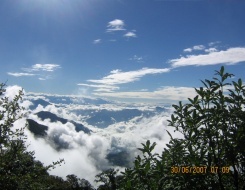 The trek starts from an altitude of 1500 mts and rises up to 5029 mts. 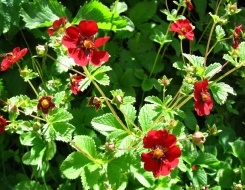 The trek to Valley of Flowers and Hemkund, is one of the short treks in India that can be trailed in 4 days. 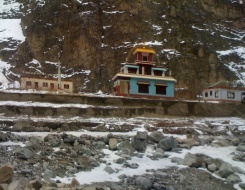 The journey starts from Govindghat en route Joshimath. 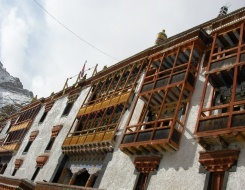 From Govindghat, which is at an altitude of 1900 mts, the trek heads up to Ghangria, where there will be a night halt, following the river and en route the picturesque valleys on the lap of the Greater Himalaya. The trail is approximately 6-7 hours and offers an absolute paradise to photographers. 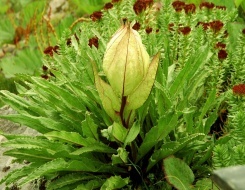 From Ghangria, the next day, the trek follows a flat walk to the Valley of Flowers. If you are visiting during the months of June to August and if you are lucky enough, you are surely going to experience the natural hues, the secret colors carpeted over the slopes of Himalaya, that the Valley of Flowers exhibits over the years. 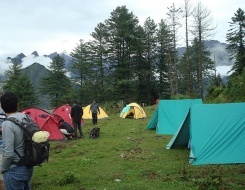 By end of the day you are back to your base camp and thereafter the following morning your trail starts to Hemkund, which is approximately 7 hours from Ghangria. Hemkund is one of the Sikh pilgrimage and it is often frequented not only by the Sikh pilgrims but also travelers from all over the world. 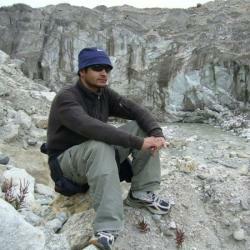 On the other hand, trek to Roopkund is not an easy task. 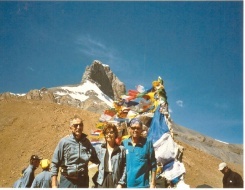 It is one of the toughest and dangerous Indian treks that can be reached only by experienced travelers. 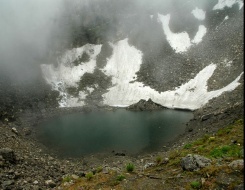 The main attraction of the Roopkund Trek is the Skeleton Lake or the Mystery Lake. 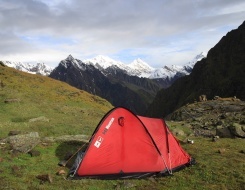 Roopkund is a glacial lake on the lap of the Trishul Peak and is surrounded by rock-strewn glaciers and snow clad mountains, making it a good trekking destination. 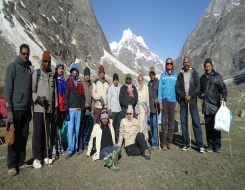 It is a 5 days trek that starts from Lohajung. 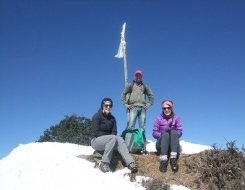 The Sandakphu Trek is one of the popular trekking destinations that is located in North Bengal. 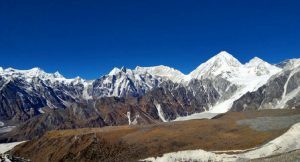 It offers the panoramic view of the farfetched snow clad Kanchenjunga Peak and its family and if your luck contributes even 0.1% in this trek, Sandakphu also offers a glimpse of the Mount Everest. The Sandakphu Trek that starts from Dhotrey, which is a small village close to Darjeeling, is one of the shortest and easiest Indian treks that can be trailed by children from 12 years. 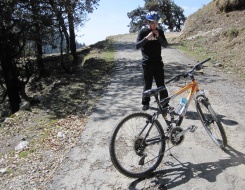 The trail starts off the ramp from Dhotrey to Tonglu, which is set at an altitude of 9800 mts. 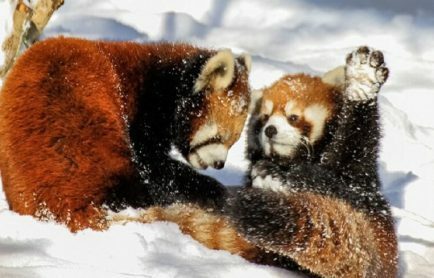 En route the Singalila National Park, which is famous for varied species of wild plants and even noted for housing red panda, which is one of the endangered species, your trail heads up to Gairibas that is set amidst the blooming forest of rhododendron. 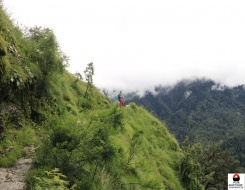 Thereby the trail follows towards Kalipokhari, where you can rest for the day. 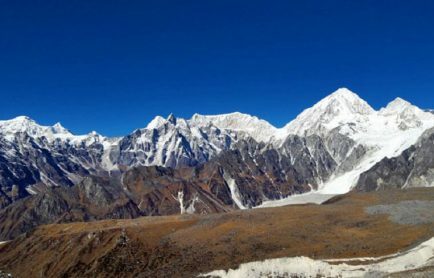 The following morning, preferably before dawn, trek up to Sandakphu at 12000ft and there you can experience a spectacular vista of the entire Himalayan belt. Wooo… that’s a memorable capture.